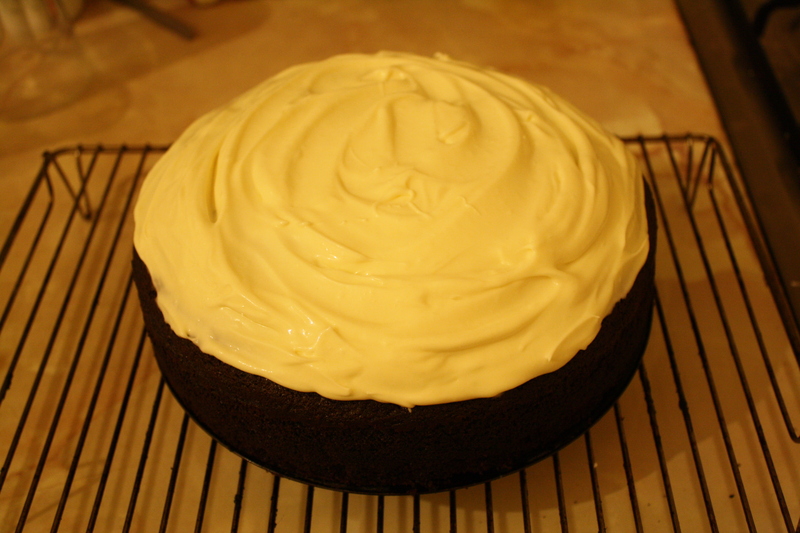 I’ve finished a few things today – one of which was the remains of a MASSIVE Guiness and chocolate cake I’d made on Monday night using Nigella Lawson’s recipe. To be honest I think she should include less sugar and more beer – might make it again later following this strategy! It was prreeettty tasty though. 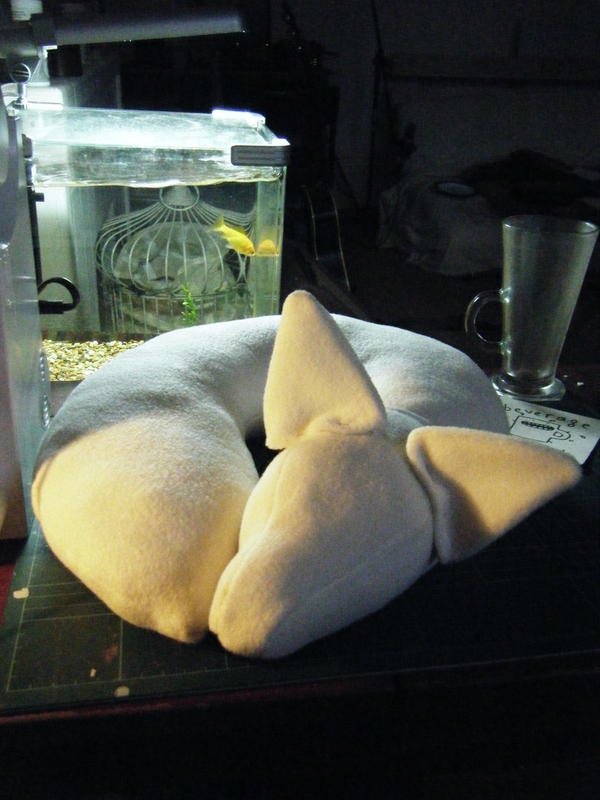 The fleece fox has apparently now reached a post office in Sweden – how exciting! 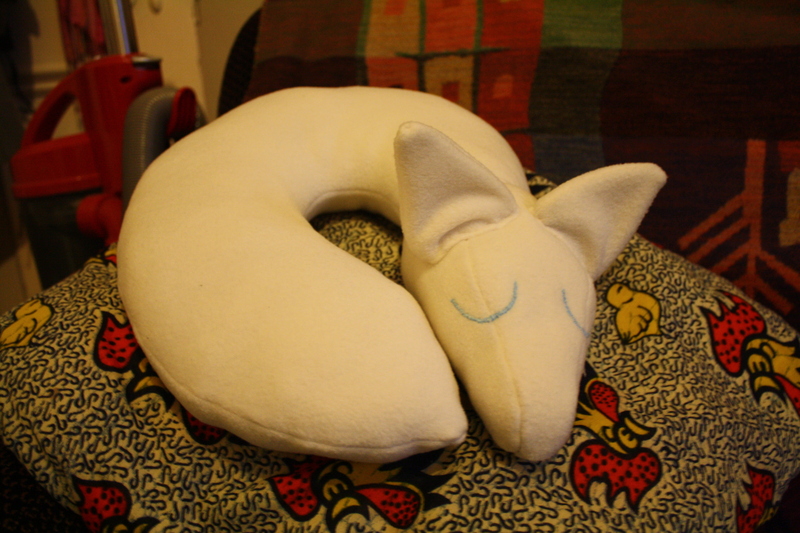 I’ve just finished a rather hug-worthy white fox commission and thought I’d share some images. 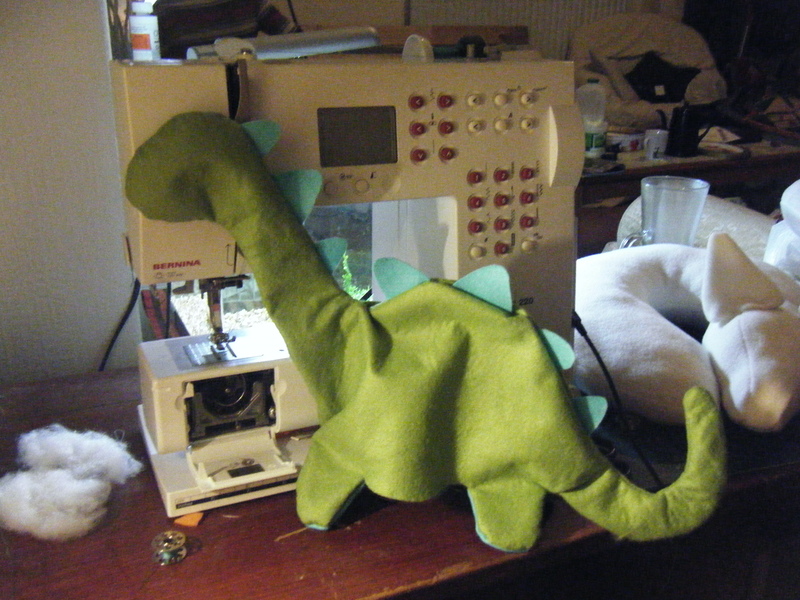 This was how he looked before the eyes and ears were stitched on. 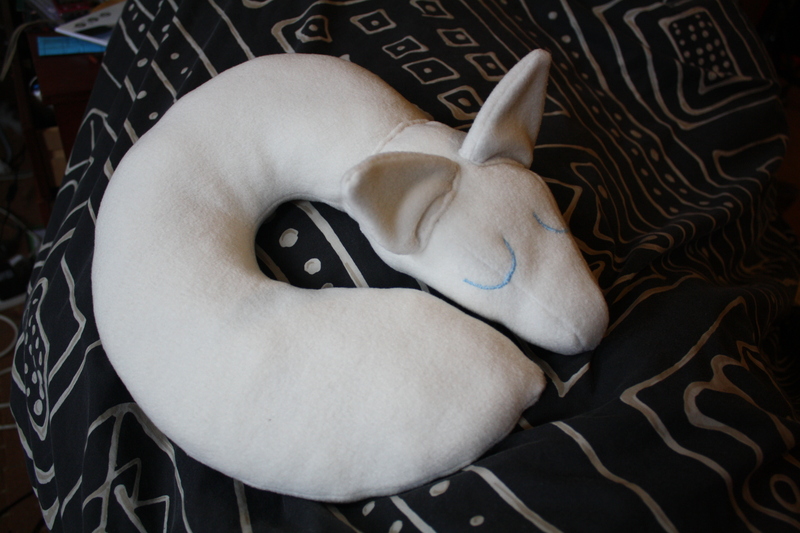 This fox was made with white fleece – I am thinking of making more out of fleece as it’s very cosy and I may experiment with using wheat and lavender kernels as a filling as I’ve seen fleece pillows like this in the past that you can heat in the microwave. 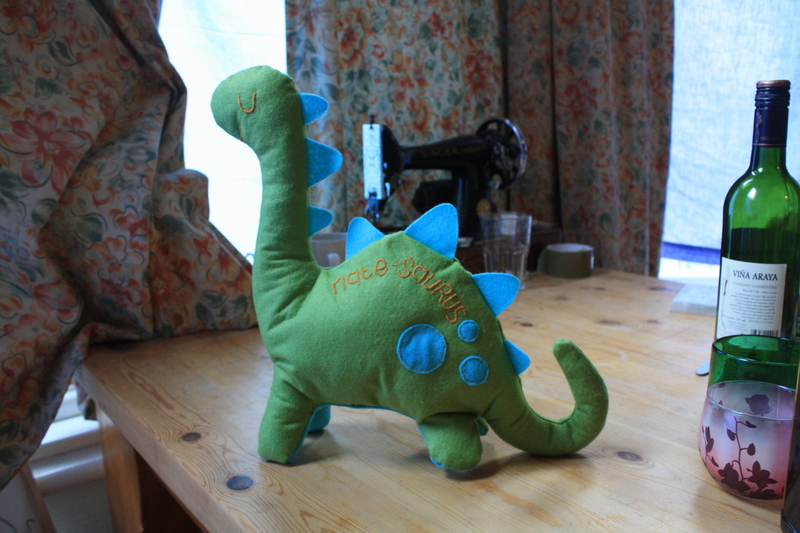 It may be a bit heavy though as the foxes are pretty large!